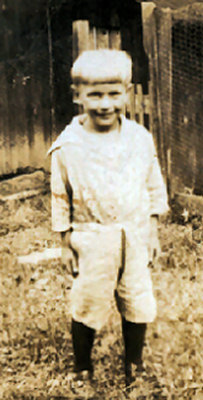 The garment my father was wearing at the time he was photographed was actually a type of shirt or blouse. The length of the shirt, and the fact that no pants are evident, is what makes the garment appear to be a dress. 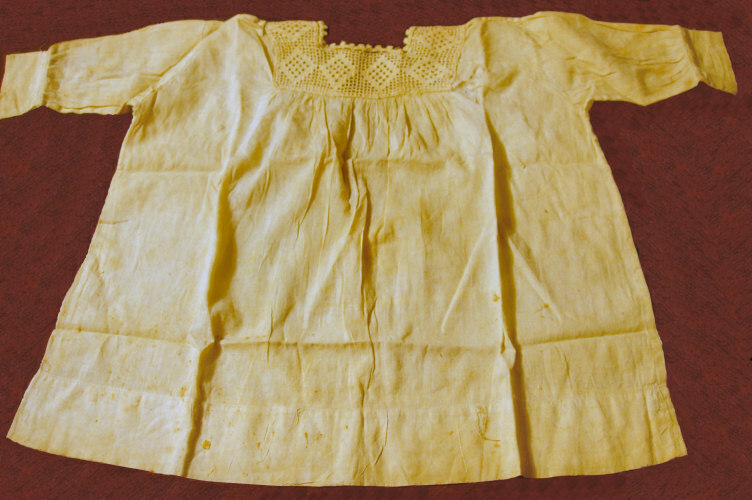 Little girls wore the same type of shirt as a dress, but of course in the early 1920s, the little girls did not start to wear pants when they began to attend school. 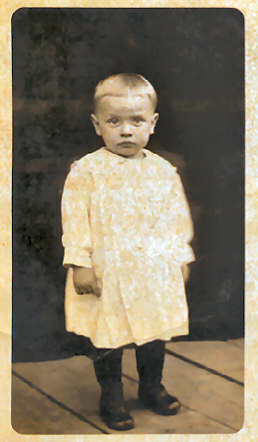 The photograph above shows my father at about the age of four. Notice the way the collar hangs down over the back. 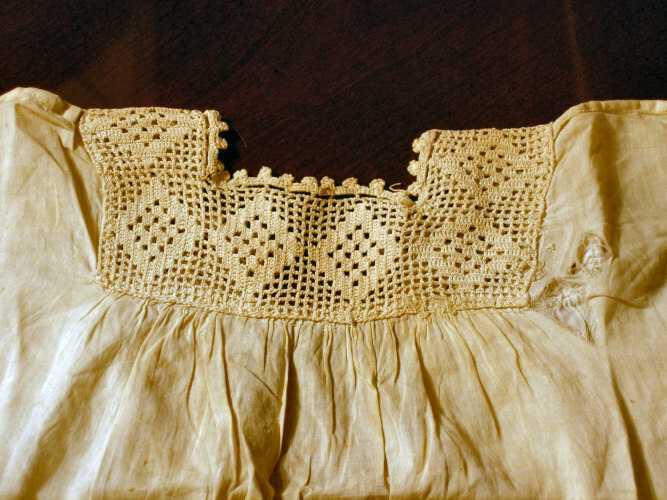 It's almost identical to the collar on the garment in the earlier picture. The fact of the matter is that my father might have been wearing the same type of shirt in both pictures. After he started wearing pants, the long tail of the shirt would simply have been tucked inside the pants.